We are thrilled to announce the speaker names and topics for the 2019 Ancient Faith Writing and Podcasting Conference! The Conference will take place June 13-15, 2019 at Antiochian Village in Bolivar, PA. Everyone interested is welcome – published or unpublished, already working with Ancient Faith or not. You can learn more and register here. In addition to the wonderful line-up you see below, we’re also looking forward to an on-site recording of The Areopagus with Fr. Andrew Damick and Pastor Michael Landsman – with audience participation! There will also be a specialized networking session organized by areas of interest – podcasters, writers, bloggers, children’s authors, poets, etc. So come prepared to make friends and seek collaboration! Keynote: Frederica Mathewes-Green, Can You Be All Things to All People and Still Be Yourself? Blogging and podcasting means always needing new material. Should you stick to your tried-and-true area, but risk boring your readers / listeners? Or cover a wide range of topics, and risk sounding inconsistent or superficial? Just how do you guide a long-term career as a communicator and still keep it fresh, interesting, and true to yourself? 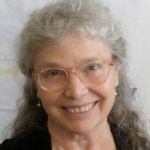 Frederica Mathewes-Green is a wide-ranging author, whose work has appeared in such diverse publications as the Washington Post, Christianity Today, Smithsonian, the Los Angeles Times, First Things, Books & Culture, Sojourners, Touchstone, and the Wall Street Journal. She has been a regular commentator for National Public Radio (NPR), on Morning Edition and All Things Considered, a commentator on the Hallmark TV network, a columnist for the Religion News Service, Beliefnet.com, and Christianity Today, wrote regular book reviews for the Los Angeles Times, movie reviews for National Review Online and Christianity Today Movies, recorded a podcast for Ancient Faith Radio, and was a consultant for Veggie Tales. She has published 10 books, appeared as a speaker over 500 times, and been interviewed over 700 times, on venues including PrimeTime Live, the Diane Rehm Show, the 700 Club, NPR, PBS, CNN, NBC, Fox News, and by Time, Newsweek, the New Republic, USA Today, the Chicago Tribune, the Philadelphia Inquirer, and the New York Times. Deacon Nicholas Kotar on Culture Creation for a Post-Christian America. Russian philosopher Ivan Ilyin spoke of “culture creation” as the quintessentially Christian calling, but one that is often not only neglected, but discouraged in Orthodox circles. This lecture will explore the theological, philosophical, and practical reasons for pursuing such a calling, especially in an essentially post-Christian America. Dn. Nicholas will be giving all participants copies of his translation of Ivan Ilyin’s “Christianity and Culture.” More specifically, he will explore St. Maximos the Confessor’s idea of “uncovering the Logos in created things” and the wonderful work of Gregory Wolfe and Image Magazine as examples of non-Orthodox culture creation. The lecture will conclude with a concrete action plan for Orthodox culture creators. 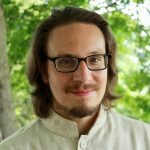 Nicholas Kotar is a writer of epic fantasy inspired by Russian fairy tales, a freelance translator from Russian to English, the resident conductor of the men’s choir at Holy Trinity Orthodox Seminary in Jordanville, NY, and a semi-professional vocalist. He blogs about seeking beauty and truth in Russian folk culture and history at The Storyteller blog on the Ancient Faith platform. Fr. Stephen Freeman on Orthodoxy and Shame. Fr. Stephen will discuss the experience of shame (clinical understanding) and its occurrence in religious conversion and practice. This lecture should raise our awareness of how this primary emotion works in our own lives as well in the lives of those who might read us or hear us. What is good shame and how does it differ from bad shame? Fr. 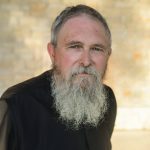 Stephen Freeman is an archpriest in the Orthodox Church in America and serves as pastor of St. Anne Orthodox Church in Oak Ridge, TN. He was educated at Furman University, Seabury-Western Theological Seminary, and Duke University. He is the author of the popular blog, Glory to God for All Things, and of the weekly podcast, Glory to God, on Ancient Faith Radio. His work has been widely translated and published in Europe and Russia. Brian G. Phipps on Make It Beautiful: The Art of Editing Your Own Writing. In our era of hurried text messaging, spontaneous tweets, and informal blogging, it’s theorized that writing quality doesn’t matter to people anymore. But readers still write publishers to complain about typos and factual errors, and editors and agents still hold writing to high standards. You owe it to yourself to put your writing in its best condition before presenting it to readers, whether it’s editors and agents or your blog’s audience. In addition, one of the ways we grow as writers is by learning to look closely at our own work. In this workshop, you’ll be introduced to the art of self-editing, learning a three-step process—substantive, line, and copy editing—you can follow to polish your work. By asking yourself whether a piece of writing is clean and clear, you can develop a style of writing that will keep readers coming back for more. 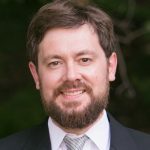 Brian G. Phipps, senior production editor at Zondervan, has nearly twenty-five years of experience line editing and copy editing book manuscripts. Also a nonfiction writer and a published poet, he is the author of Before the Burning Bush, a collection of poems (University of St. Katherine Press, 2018). 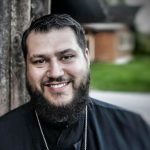 He serves as a chanter in his Greek Orthodox parish in Grand Rapids, Michigan, where he lives with his wife and kids. Angela Doll Carlson on Voices in the Wilderness: Writing Beauty for the Digital Age. Albert Camus once said that “the purpose of a writer is to keep civilization from destroying itself.” Add to this idea, the famous line from Dostoevsky, “beauty will save the world,” and we find the intersection between our call as Orthodox Christians and our focus for our creative work. The purpose of the Orthodox writer is to identify, embrace, and then report beauty. No matter the condition of the world around us, the need to find this beauty and speak the truth of it remains a constant for the Orthodox writer. Whether one’s work is poetry or podcasting, novels or devotionals, the digital age offers a new landscape in which writers of faith can explore the case for beauty for a wider audience with sometimes immediate feedback. How do we, as Orthodox Christians, approach this vital task with grace and integrity? 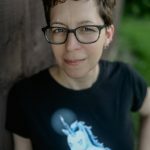 Angela Doll Carlson is a poet, fiction writer and essayist whose work has appeared in publications such as St. Katherine Review, Rock & Sling Journal, Ruminate Magazine, Ink & Letters, Whale Road Review, Relief Journal, and Tahoma Literary Review. 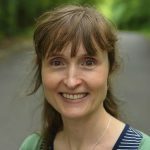 Angela has published two books, Nearly Orthodox: On Being a Modern Woman in an Ancient Tradition (Ancient Faith 2014) and Garden in the East: The Spiritual Life of the Body (Ancient Faith 2016). Her latest book, The Wilderness Journal: 365 days with the Philokalia, is forthcoming in 2018. Fr. Andrew Damick, Angela Doll Carlson, and Dr. Nicole Roccas on From the Page to the Podcast. Three Ancient Faith authors talk about how they got started in podcasting, and how the processes of writing and podcasting differ and dovetail. The Very Rev. 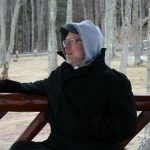 Archpriest Andrew Stephen Damick is pastor of St. Paul Orthodox Church of Emmaus, Pennsylvania, and author of multiple books from Ancient Faith Publishing. 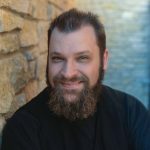 He is host of the Orthodoxy and Heterodoxy and Roads from Emmaus podcasts on Ancient Faith Radio, as well as editor-in-chief and author (respectively) of blogs of the same name, and co-host of The Areopagus podcast. Fr. Andrew is a frequent speaker at lectures and retreats in both parishes and other settings. He resides in Emmaus with his wife Kh. Nicole and their children. Dr. Nicole Roccas on Spice Up Your Podcast Life! Have you and your podcast lost that loving feeling? This workshop will equip you with the strategies you need to spice things back up. We will cover all stages of episode production, from generating ideas to drafting scripts, conducting research and interviews, editing, mixing audio, and crafting show notes and other ancillary material. Our objective is to learn to create narrative-driven, aurally rich listening experiences using techniques versatile enough for any topic, genre, or style of podcast show. Dr. Nicole Roccas is the author of Time and Despondency: Regaining the Present in Faith and Life and has been researching and writing about time from both a historical and theological perspective for nearly ten years. In addition to being a writer and editor, she lectures at the Orthodox School of Theology at Trinity College (Toronto). 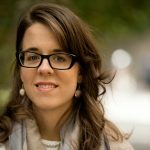 You can find more of her writing on her Ancient Faith podcast and blog, Time Eternal, and her website, www.nicoleroccas.com. Nicole has a PhD in History from the University of Cincinnati. A native of Wisconsin, Nicole lives in Toronto with her husband, Basil, whose efforts to indoctrinate her into the ways of maple syrup and Canadian spelling have yet to take effect. Eric Jansson on Fair or Foul? Key Issues in Copyright. This will be a survey of copyright law issues of importance to authors and podcasters today, presented with suggestions of how best to address them as Orthodox Christian authors with personal roles in creative work that ultimately belongs to the Lord. Eric Jansson is an attorney specializing in intellectual property law. His legal practice with Jansson Munger McKinley & Kirby Ltd., a law firm headquartered in Racine, Wisconsin, represents clients nationally and internationally in diverse matters of U.S. copyright, patent and trademark law. He is a bar member of numerous tribunals, having practiced in the U.S. Supreme Court, the U.S. Court of Appeals for the Federal Circuit, and numerous U.S district courts and state courts. In addition to representing clients in creative industries, Eric is a writer and music composer. Before his law career began 2008, he was a journalist working in the UK and post-communist Europe. Eric is married to Laura, an author for Ancient Faith Publishing. With their four children, they are members of Ss. Cyril & Methodius Orthodox Church in Milwaukee. Summer Kinard on Concrete Thinking as a Model for Evangelism. Engaging the literal and historical meaning of Scripture and texts, along with real-world testimony, reaches people more effectively and broadly and memorably across all ages than other forms of teaching, preaching, and writing. 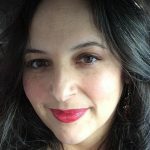 Summer Kinard is a Greek Orthodox Christian who homeschools her five children (four of whom are autistic), sings opera, loves tea, and writes inspiring novels and curricula for active learners. She holds an M.Div. (2003) and Th.M. (early church history and theology, 2005) from Duke University Divinity School. Summer is the author of Of Such Is The Kingdom: A Practical Theology of Disability (under contract with Ancient Faith Publishing), which shows that welcoming families and persons with disabilities in the Orthodox Church is grounded in the heart of God. Fr. Theodore is the parish priest of Sts. Constantine and Helen Greek Orthodox Church in Toronto, Canada, and the host of two podcasts at Ancient Faith – iSermon and Fr.TEDTalks. He is also the founder of the catechetical movement called “Re-Catechism,” which endeavors to reeducate current Orthodox adults on the teachings of the Orthodox faith. Dr. Gary Jenkins on Deliver us from Gnostic Cannibals! : Engaging our Orthodox High School and College Students in Print, Podcasts, and the Classroom. This session will focus on metamorphosizing–as it were–our ancient Faith into the realm and culture of our youth. Using some texts that offer a different, indeed Orthodox approach to the life of the mind, this session will show how to use these in catechizing—in print, podcast, and the classroom– the intellectual life of our youth as it relates to the soul made in the Image and Likeness of God. Drawing on the Church Fathers, we would explore how to address the needs and concerns of our high school and college students from Scripture and the Tradition, and address the ways we are failing them in helping them in their spiritual and ethical formation. Gary W. Jenkins is the Director of the St. Basil Center for Orthodox thought and Culture at Eastern University where he is also the Van Gorden Professor of History. He has been teaching in college and university settings for 28 years, and been at EU since 1994. Author and contributor to numerous books, journals, and forums, he blogs at luxchristi.wordpress.com. He is a member of St. Paul’s Orthodox Church in Emmaus, PA, and lives with his wife Carol and daughter Kristen in Allentown, PA. This year, we’re excited to wrap up AFCon with the highly anticipated “J.R.R. 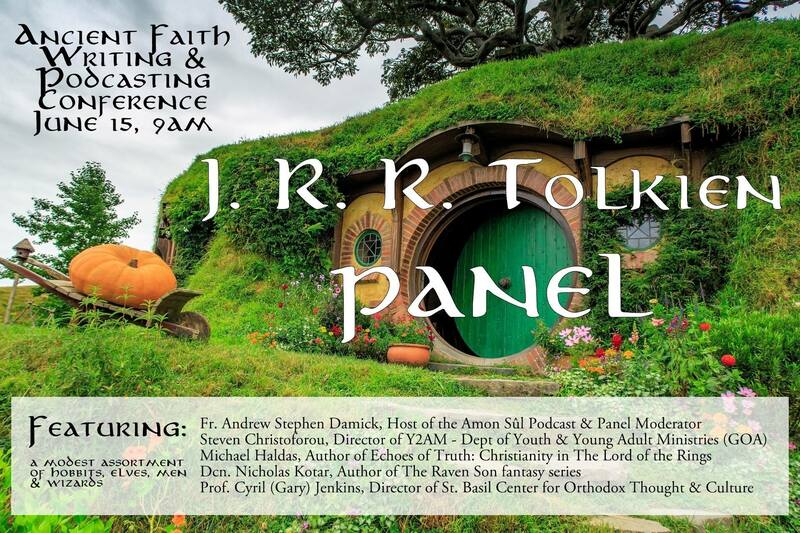 Tolkien Panel,” a fascinating conversation led by Fr. Andrew Damick, Steven Christoforou, Michael Haldas, Dn. Nicholas Kotar, and Dr. Gary Jenkins. You don’t want to miss it! This Conference is the highlight of our year. We cherish the opportunity to spend time in person with so many people who share our love for using the creative gifts we’ve been given to proclaim the Gospel and rejoice in the glory of God. We sincerely hope you will join us! I am curious to know how the speakers at this event were chosen. We issued a Request for Proposals, and a committee reviewed the applications and made the selections. I’d love to see Abbot Tryphon and Fr Barnabas Powell, too. I’ll have to start saving up for this one, considering Fr Damick and Fr Freeman will be there. Outstanding lineup!